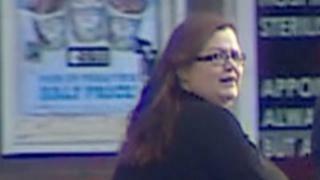 A care worker who was caught on camera stealing money from a pensioner has been given a suspended 12-month sentence. Theresa Stratton, 39, stole more than £100 from the wallet of 74-year-old David Skerritt at his home in Rustington, West Sussex. She was filmed in the act on a CCTV camera installed by his family. Stratton, of Littlehampton, denied the theft at Chichester Crown Court but was found guilty. Stratton was given 12 months imprisonment suspended for 18 months and ordered to carry out 260 hours of unpaid work. That equates to almost eight, 35-hour weeks. She was also ordered to pay £140 back to Mr Skerritt's family, as the widower has since passed away. Mr Skerritt had Parkinson's Disease and lived alone in his bungalow with carers visiting daily. The trial heard how Stratton helped him in to the bedroom and then went to his lounge where she was recorded taking the money from his wallet. It was her second visit to him and after the trial Judge Christopher Parker QC said there had been a "high degree of betrayal of trust". Stratton must also complete a 10-day rehabilitation order. She was employed by Caremark, which released a statement after the trial saying: "All our staff are vetted, DBS checked and trained in order to safeguard the vulnerable people we care for and therefore this incident of theft by one of our care workers is highly regrettable. "As soon as the theft was discovered, we dismissed Ms Stratton."